How to Sell More Appetizers - Free Poster Offer from Service That Sells! Guests love appetizers, and so should you. When your staff learns to sell more appetizers, check averages increase and the overall dining experience for your guests improves. Consider this — unoccupied time passes slower than occupied time. Suggesting and selling appetizers fills up the time between guests ordering an entrée and receiving it, improving their perception of the service you provide. 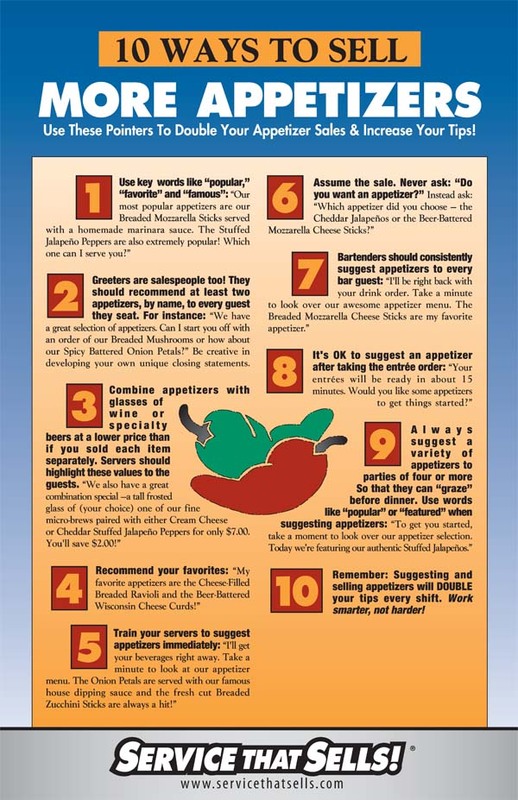 Click the image to download the free “10 Ways to Sell More Appetizers” poster. 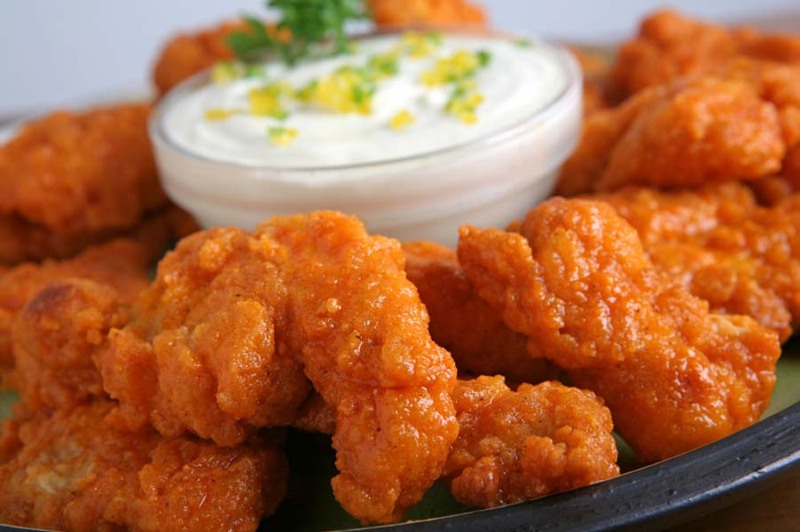 Here’s another great strategy to sell more appetizers: Offer a choice (“The potato skins and smoked trout are both very good”), then recommend your favorite (“But my favorite is the chicken Caesar salad.”) Improved appetizer sales increase check averages, which means more tips for servers, and more profits for the restaurant. It improves the guest experience as well, which leads to more repeat visits and referrals.